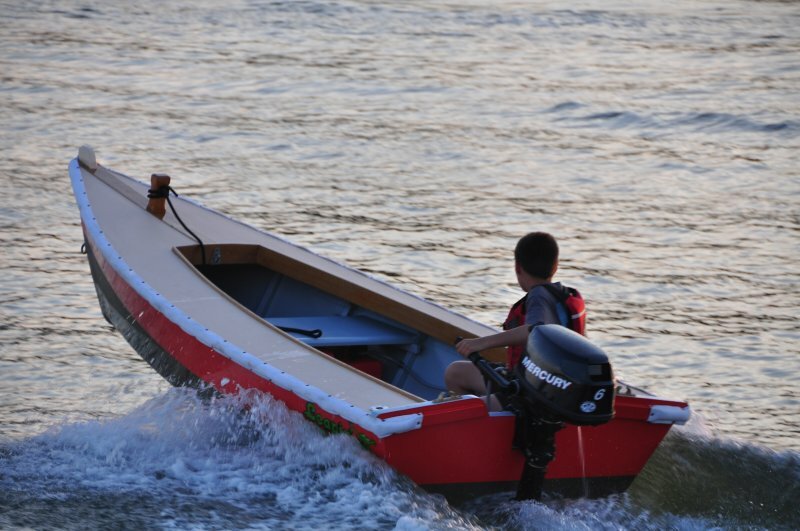 David and Benji Cantera, father and son, asked their friend, John Swain, a shipwright, to design and help them build a 10′8″ skiff, LEAPIN’ LENA. They covered the hull bottom, transom, and deck in marine plywood sheathed with Dynel cloth. They planked the hull in white cedar on white oak frames. Benji and his father made the deck kingplank from sassafras, and the stem and bollard from osage orange. David adds that this is Swain’s signature wood that he used on the schooner SULTANA. 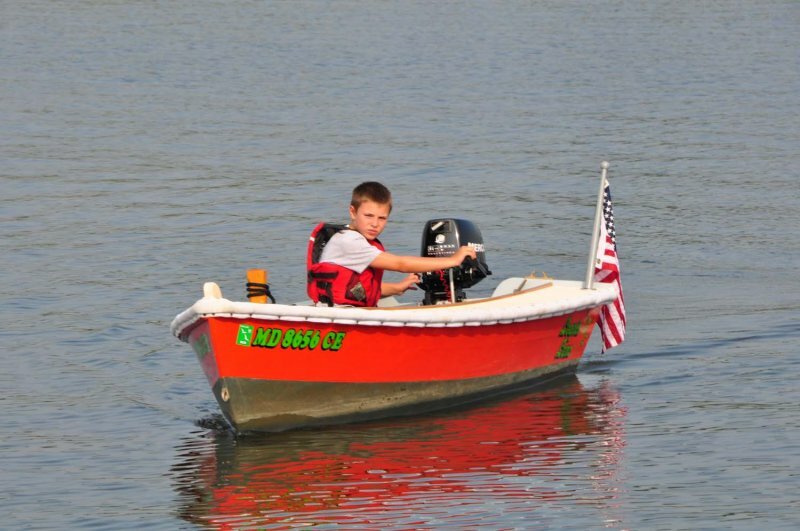 Nine-year-old Benji named the boat after his mother, Lena. 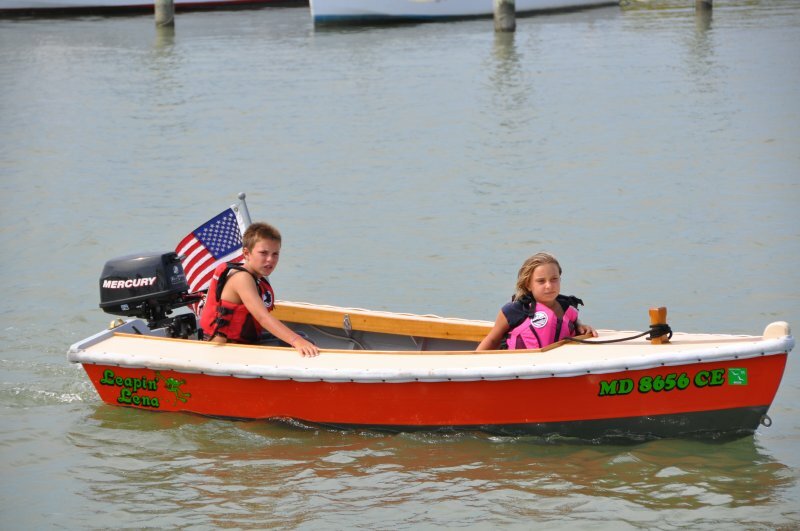 A 6-hp Mercury outboard helps LENA leap through the waves on the Sassafras River in Maryland.